FOSS supports No Jets Toronto and CCFEW’s opposition to expansion of Billy Bishop (Toronto Island) Airport. FOSS has forwarded a letter outlining its concerns to the City clerk’s office. The letter will now be scheduled for consideration. See blog for details. FOSS-initiated off-leash informational signs for dog walkers have now been erected in several CSSP locations. The signs are also being considered for use in other city parks. The entire semi-circle of benches formerly located on the north side of CSSP marina has been destroyed by the City over lack of maintenance funds. Two other benches remain solely due to the personal initiative of a member of the yacht club. FOSS plans to contact city authorities advocating that the benches be restored, repaired or replaced. 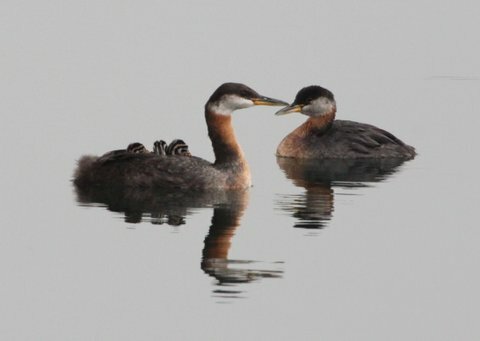 A yacht club member is also responsible for building the nesting platforms for the Red-necked Grebes. To encourage the nesting of Purple Martins, FOSS is seeking permission to move the yacht club’s martin house from its present location to a more suitable one near the water’s edge. FOSS supports the development of a community vegetable garden at the originally suggested location only, i.e. in the field found on the south side of Lakeshore Blvd. just west of the Rabba store. Attendees at a meeting held on March 3 unanimously agreed with this location. As of April 17. Councillor Grimes is still not in favour of this site. As part of its new welcome centre, Humber College plans to protect some green space on the SW corner of CSSP Drive and Lakeshore Boulevard. FOSS advocates the preservation of crab-apple trees presently at that location. FOSS also supports plans being considered by Humber to reconstruct the Women’s Gazebo located on college grounds.